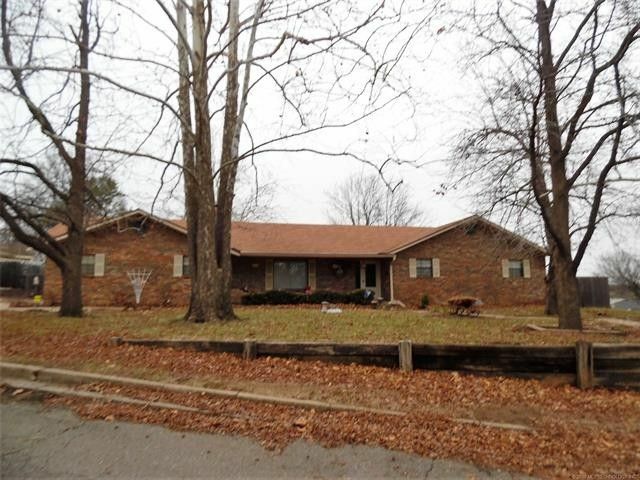 1838sf Ranch-style brick home on 12 lots! 3/2/2 PLUS 527sf finished basement for extra BR or 2nd living area. Large LR w/fireplace & custom mantle, kitchen features eating bar, pantry & all appliances including 3yo stainless side by side refrigerator. Spacious master bath, good storage throughout. Laundry room w/sink, oversized 2-car garage. Atrium doors from dining out to deck w/water feature, privacy fenced yard, storage building. House on 6 lots PLUS 6 additional lots behind. HOME WARRANTY OFFERED.